Small Chinese enterprises are flocking to cross-border e-commerce platforms, but this has brought an uptick in legal problems. You Tianlong is a Ph.D. student in Justice Studies at Arizona State University. Early this past June, on a research trip to Yiwu — a well-known e-commerce hub in the eastern province of Zhejiang — I was surprised to find myself asked for legal advice. While on a visit to a cross-border e-commerce company, the owner suddenly started asking for my opinion on a recent case involving his firm. I soon learned that earlier this year, the man’s business had been sued in the United States for infringing on another company’s intellectual property. The man angrily claimed that he had been “entrapped” — a legal term used for when a person is induced into committing a crime. According to him, a customer had intentionally placed an order for infringing products, which were then used as evidence that the Chinese company had committed intellectual property infringement. After reviewing the demand letter the company had received from the American plaintiffs, I subsequently learned that the man’s company had failed to file a response by the deadline. Thus, in May, a U.S. District Court delivered a default judgment in favor of the plaintiffs. In addition to banning the company from producing and selling more of the infringing products, the court also froze about 80,000 yuan ($12,000) in their Alipay and PayPal accounts, and ordered them to pay $250,000 in damages to the plaintiffs. The case highlighted a common issue faced by Chinese companies involved in cross-border e-commerce: an incomplete understanding of the laws of the countries in which they market their goods. This problem is compounded by China’s own inadequate efforts at intellectual property enforcement — especially in comparison with developed countries. Pressured to maintain high GDP growth rates, some local governments have chosen not to take the issue of intellectual property enforcement seriously, instead focusing on growth by any means possible. Thus, small Chinese companies looking to expand their markets overseas have to go through a painful adjustment period as they learn how to navigate foreign legal systems. Yet while it is imperative for Chinese companies to better grasp how intellectual property protection works in other countries, they also shouldn’t just shrug their shoulders in defeat every time they get slapped with a lawsuit. Every business, municipal commercial affairs bureau, and local e-commerce association that we visited in Yiwu all brought up the same point: In order to avoid any disruption of their operations — such as having their accounts frozen by the e-commerce platforms upon which they rely — most companies prefer to settle cases out of court rather than fight, regardless of how unreasonable they may find the plaintiff’s demands. This attitude of appeasement has led to the emergence of entities specializing in so-called legal blackmail. Such groups target small and medium-sized enterprises (SMEs) involved in cross-border e-commerce, and exploit the enterprises’ lack of legal expertise and desire to avoid legal entanglements. The mere threat of having a seller’s online store or bank account frozen is often enough to extract a handsome settlement based on manufactured claims. On its own, any individual settlement may seem like a small price to pay, but collectively, appeasement only emboldens the legal blackmail industry. Our interviews revealed that one of the main reasons SMEs prefer to settle cases rather than fight them in court is a desire to stay open for business. Moreover, the uncertainties and costs inherent in an average court case can pose a real risk to any SME. The case involving the Yiwu e-commerce company offers a good example. Even an inexpensive lawyer is likely to charge $200 an hour, and with only $10,000 budgeted for legal costs, the company in question could likely only afford 50 hours of legal services — hardly enough to see the case through to the end. And since no reputable attorney would guarantee success, business owners usually feel that it is better to choose settlement over litigation. On its own, any individual settlement may seem like a small price to pay, but collectively, appeasement only emboldens the legal blackmail industry. To make matters worse, most SMEs have limited access to accurate legal information about the countries in which they operate. Recently, a growing number of American-trained lawyers have begun practicing in China, and multinational law firms such as King & Wood Mallesons have opened Chinese branches. Yet these firms are mostly based in major cities such as Beijing and Shanghai, and mainly provide services to large companies and important individual clients. 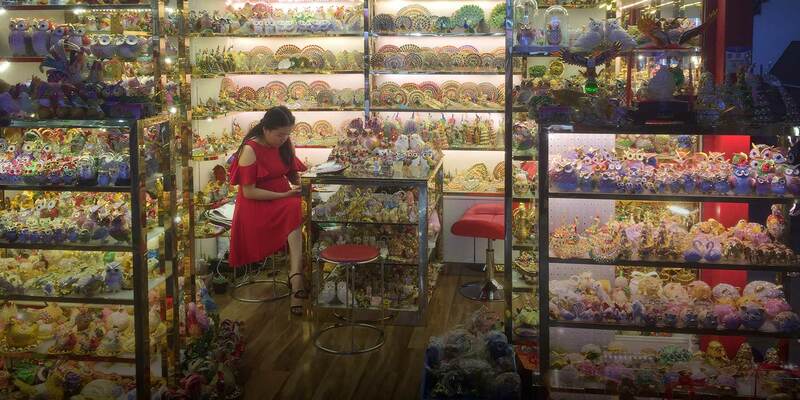 Meanwhile, Yiwu — though a major hub for Chinese e-commerce — remains underserved and largely ignored by top law firms. For now, a proactive approach from local governments may be the key to solving these problems. First, officials could act as middlemen between SMEs and top law firms, helping SME owners locate high-quality legal services while also assuring law firms of their clients’ ability to pay. In turn, the authorities themselves would benefit, as it would spur the development of a new and promising local legal service industry, driven by the growing demand from SMEs. Another potential step would be for local governments to create a mutual legal defense fund. The fund would function like an insurance scheme, allowing SMEs to take more aggressive legal action in their defense. As mentioned, the greatest obstacle SMEs face in fighting lawsuits is that the cost of legal action outweighs the potential savings of winning. And even if they did win, the litigating company must bear the court costs on its own, while any benefits are shared among the industry at large. Creating a mutual legal insurance program would effectively resolve both of these problems. Members would pay a fee to join the program, and when a member is sued, they could use the pooled funds to help defray their legal costs. This would take some weight off of the defendant’s shoulders, allowing companies to be more aggressive in protecting their interests, while all members would then reap the benefits of victory — which include a reduction in the number of frivolous lawsuits. The legal blackmail industry operates by forcing defendants to settle. If companies felt empowered to fight back, they would make for harder targets. After all, lengthy lawsuits are costly not only to defendants, but to plaintiffs too. At the very least, local governments should extend invitations on behalf of SME entrepreneurs to experienced lawyers to give lectures — possibly online — on common legal issues. With some basic training, SME entrepreneurs might be able to cut down on some of their previous amateur mistakes while operating in foreign markets. A stable market economy depends on the rule of law, and e-commerce is no exception. It’s not enough for sellers to understand the markets in which they operate — they must understand local laws and regulations as well. In recent years, Chinese firms have begun looking to expand their reach around the world. But as long as they remain fractured and unaware of local laws, their international dreams will remain hard to realize. Huang Tuo, a lawyer at Morrison & Foerster LLP, also contributed to this article. Translator: Katherine Tse; editors: Lu Hua and Kilian O’Donnell.